Volunteers for camera operator and audio assistants are welcome. To volunteer for one of the positions listed please contact us. 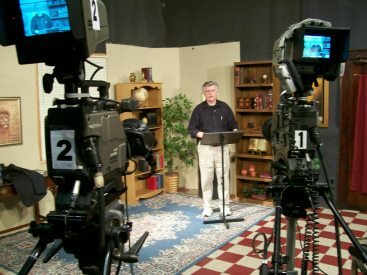 Christian Television Network, (CTN) the licensee of Station WTJR-TV, is a religious broadcaster defined by the regulations of the Federal Communications Commission. See 47 C.F.R. -73.2080(c)(1);17 FCC Red 24018 (2002). And, as a religious broadcaster, Christian Television Network has established a religious qualification for all employee positions at WTJR-TV. In accordance with the FCC’s rules, CTN makes reasonable, good faith efforts to recruit applicants, without regard to race, color, natural origin or gender, among those who are qualified based for employment on their religious belief or affiliation. WTJR is a drug free workplace.